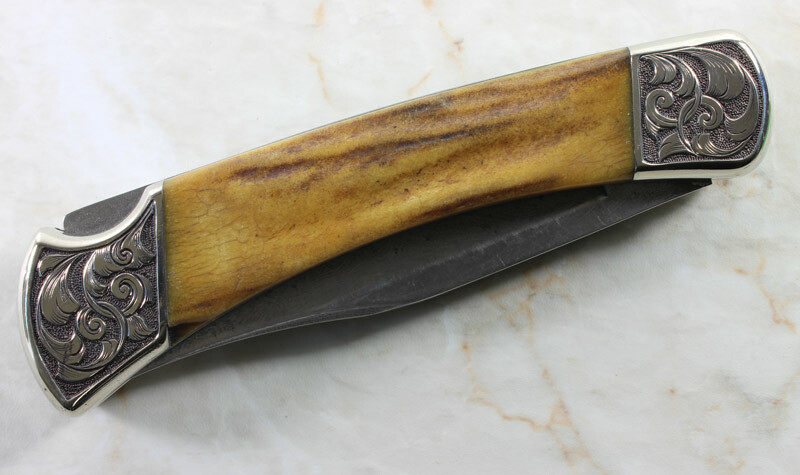 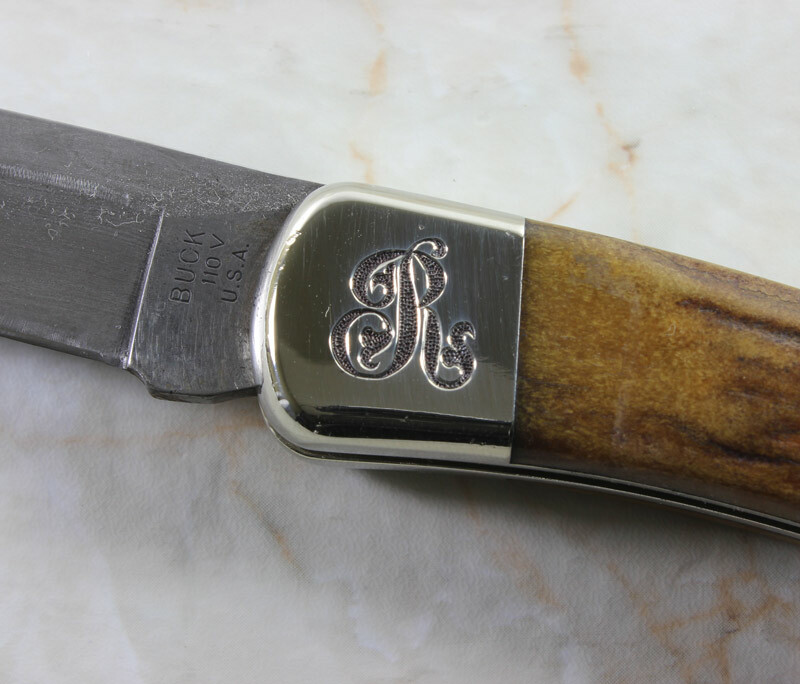 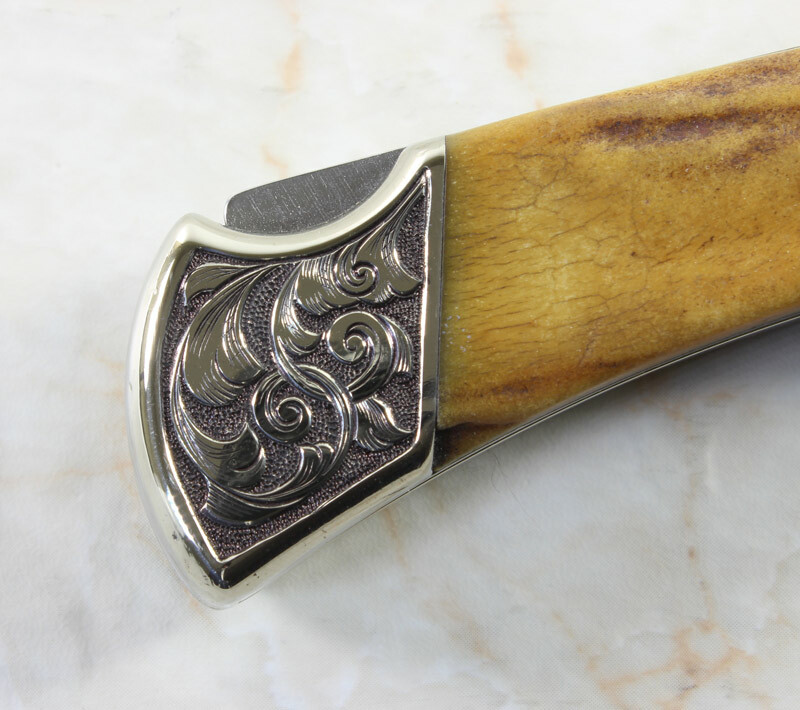 This vintage Buck 110 was sent to me from a knife collector for custom hand engraving. 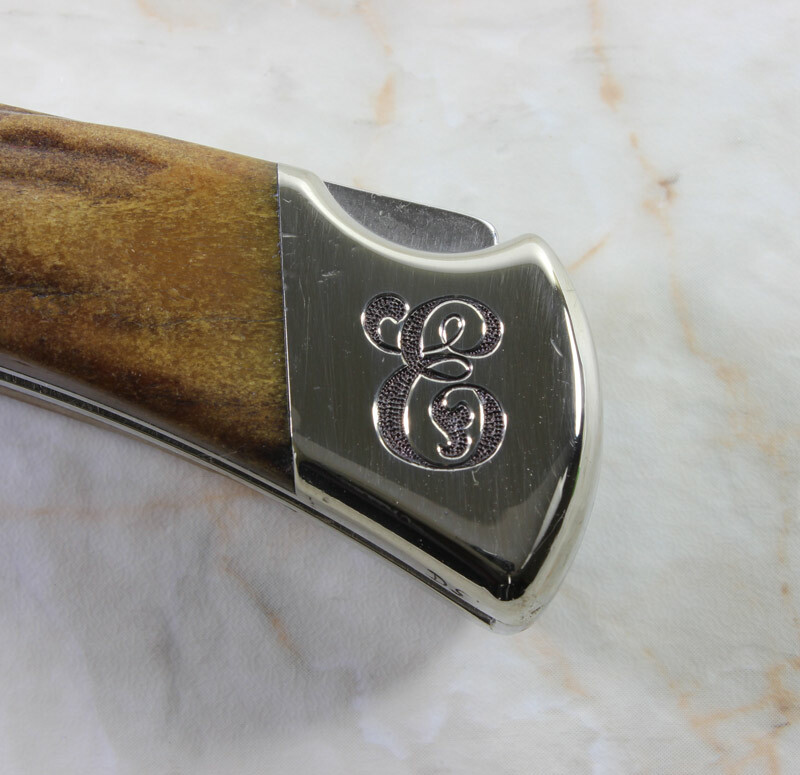 I was asked to engrave his initials on one side and a nice scroll design on the other side. 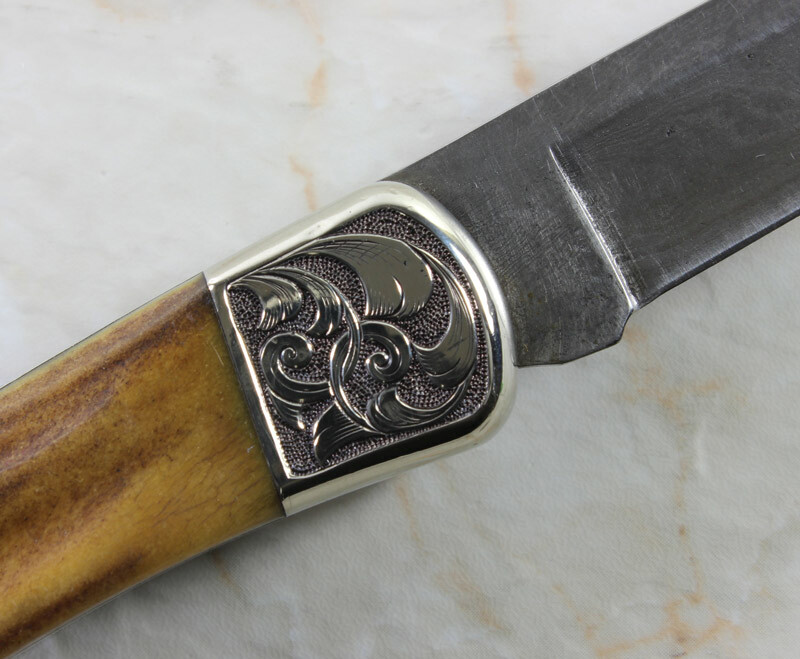 I chose to use a deep relief type of hand engraving which is very time consuming but also produces a rich looking finish. 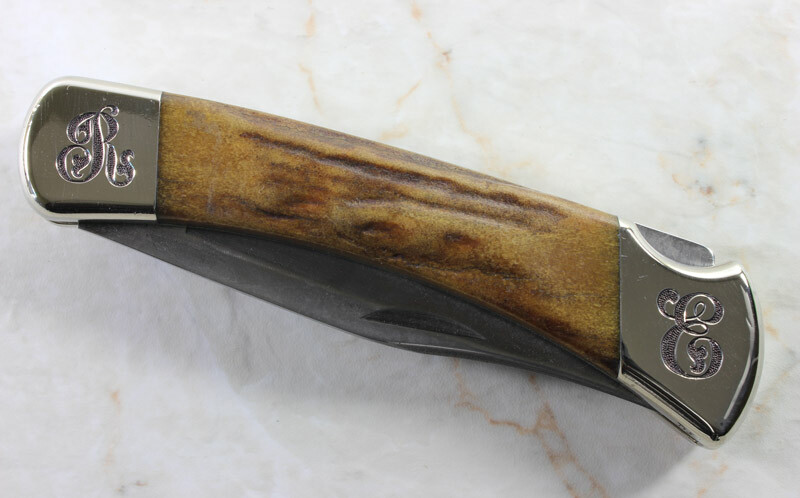 My customer is quite happy and I was also pleased with the end result.